Discover one of the most innovative ballrooms in Bangkok with open kitchen and vehicle access at Pullman Bangkok King Power. The new pillarless Eternity Daylight Ballroom combines natural daylight and versatile space with a distinctive design and elegant environment, enhanced by the latest technology and the newest audio visual equipment, a striking 6.3-meter-high ceiling and spectacular chandeliers. Experience the signature aspect of the daylight ballroom which comes in the form of a culinary experience where guests interact freely with our Executive Chef Dominique Ferchaud and his team in a unique ‘Marrone’ open kitchen from Italy, a concept thus far unseen in Thailand. In addition, the Eternity Daylight Ballroom also features a dedicated car entrance from the adjoining car park which makes it ideal for vehicle exhibitions and product launches. The 470 sq.m. Eternity Daylight Ballroom can accommodate up to 414 guests in theatre style or 256 guests in classroom style. When you combine all the aforementioned aspects, the Eternity Daylight Ballroom is the perfect venue for your conference, exhibition, private event or wedding. The Infinity Ballroom offers 600 square meters of useable space divided into 2 rooms known as Infinity 1 and Infinity 2 with a 7-meter high ceiling and a combined seating capacity for up to 550 guests in theatre style. The Infinity ballroom is equipped with superior meeting facilities and an advanced lighting and sound system including high-speed internet. 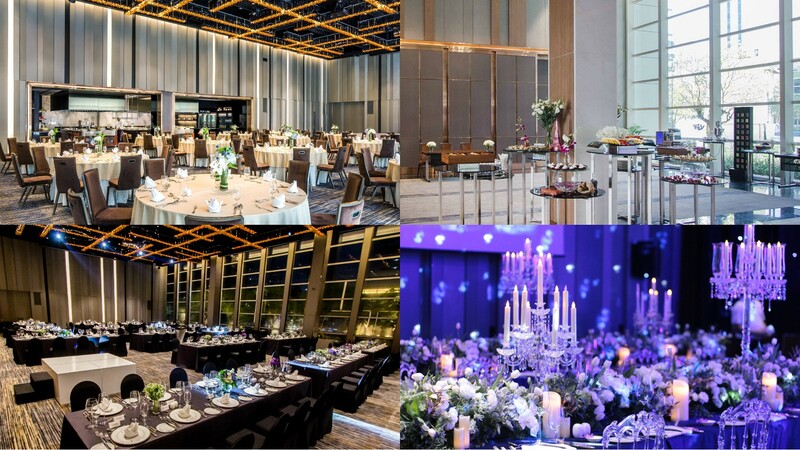 The Infinity is one of the most ideal ballrooms in Bangkok that offers the versatility to accommodate large incentive functions, small private dinner parties or a dream wedding. The Thai-inspired Infinity Ballroom also features a spacious pre-function area also with a 7-meter high ceiling and natural daylight from the adjacent garden which could be creatively decorated according to your own personal design.